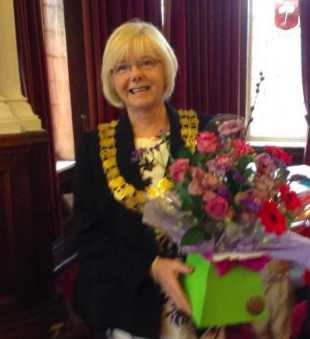 Lynda Winrow-Baker was appointed as the new town mayor of Westhoughton last night. An official mayor-making ceremony was held at Westhoughton Town Hall. Westhoughton councillor David Wilkinson said: “It was really nice to see Lynda elected as the town mayor. She is a person who just wants to do her bit for the community. Accepting the position, Lynda said: “I am honoured to be given the chance to be mayor of this wonderful town and I just hope I can do as good a job as so many of those who have gone before me. Her two mayoral charities will be the Dementia Dupport Group and the Rainbow Legacy children’s charity.